Once a dutiful aristocratic daughter, Aemilia has abandoned the dull promise of a sedate life. She chose instead to embrace the thrill of the hunt and test her mettle in the arena, flowing away from the strikes of one adversary and into position to strike another down. Aemilia is a Legio XIII gladiator. Sculpture credit belongs to Olivier Nkweti, illustration by Yefim Kligerman. Painted byBenjamin Williams. 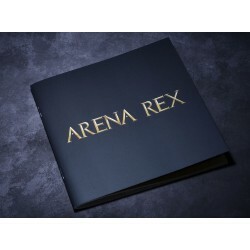 The resin Aemilia miniature is supplied unassembled alongside a plastic 30mm Arena Rex base, activation token, art card, and game card.